Cory Booker is all at once doing something quite conventional and at the same time something totally out of step with the times. The New Jersey senator’s announcement today, the first day of Black History Month, identified him in a tradition of black Democratic presidential candidates. He quite explicitly is taking ownership of that identity in a way that his fellow Senate Judiciary Committee member, Kamala Harris of California, did not. 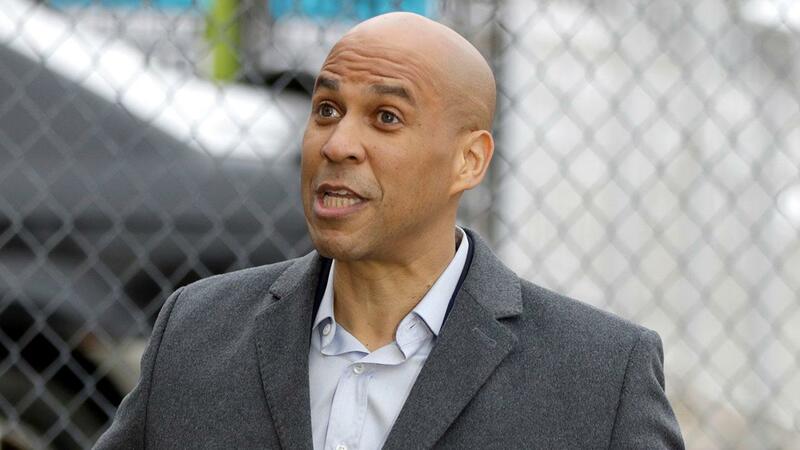 Booker’s message, featured in opening remarks set against a backdrop of a chain-link fence and a beat-up car in his hometown of Trenton as well as an artfully produced introductory video, was explicit about his connection to a tradition that stretches back to the abolitionist movement. Invoking Martin Luther King and Frederick Douglas, Booker placed himself on a continuum that has been one of the most powerful forces to shape the modern Democratic Party. Democratic primary voters in early state South Carolina, for example, were 61 percent black in 2016. In delegate-rich Florida, black voters were 27 percent of the Democratic electorate, and that was a basically boring contest between two of the whitest humans in politics, Hillary Clinton and Bernie Sanders. As Barack Obama found, though, black voters learned to be even more skeptical of African American candidates than many white voters. After Obama beat Hillary Clinton in South Carolina in 2008, Bill Clinton was dismissive of the victory in a way pointed squarely at the heart of African Americans’ concerns. Bill Clinton’s message: Obama is a niche black candidate like Jackson was twice before. Have your fun in a majority black electorate, but now the real show will start. It was the kind of paternalistic head patting that immediately incensed black Democrats. Rep. Jim Clyburn, the dean of South Carolina Democratic politics, would subsequently recall in his memoir how the former president had called him in the wee hours after the primary results were in. That episode helped convince black Democrats far beyond the borders of the Palmetto State of some things. Obama’s own story – Kenyan father, Kansan mother, raised in Hawaii and Indonesia – was not part of the mainstream black American experience. He was a dramatic departure from politicians like Jackson who grew out of the civil rights movement and for whom ameliorating racial grievances was their primary objective. Bill Clinton’s outbursts answered the question that had dogged Obama since the start of his campaign: Was he “black enough?” After that business, black voters had their answer. Obama went from a candidate who had considerable appeal among white liberals, especially for his opposition to the Iraq war, now had a united, dedicated African American electorate backing him to the hilt. Obama had cut the Gordian knot of Democratic politics and united upscale, white elites with the black base. For Booker, the situation is very different. First, Obama substantially retired the question of whether white Americans would ever accept a black president. Second, there is another top-tier African American candidate, also a senator, to claim the mantle. Booker knows that this will be a crucial consideration for his viability. Harris is from a bigger state and can be expected to score better with female voters. If he is not able to win in South Carolina and other states with majority black electorates, the math gets pretty daunting for him. But how does he do that without turning into the kind of candidate that Bill Clinton was dismissing a decade ago? If Booker appears to be a niche candidate like Jackson, many voters, including plenty of African Americans, may write him off. That’s the second and more radical part of his pitch. Booker is organizing his campaign under a banner of “universal love.” He’s decrying partisanship and preaching a political gospel of grace, forgiveness and love, yes, even for Donald Trump. But for a candidate who wants to claim the civil rights mantle, it may not be such a bad idea. It insulates him against the suggestion that he is in some way militant or divisive and makes the focus of his campaign not retributive justice but rather harmony, racial and otherwise. Harris, whose own biography leans more toward Obama’s own second and third culture experience, is reaching out to black voters from a less explicitly ethnic starting place. Booker is planting himself squarely in black America and reaching out across the divide in the other direction. Just as New England white liberals Sanders and Sen. Elizabeth Warren of Massachusetts will battle brutally for the same votes, especially in New Hampshire, Harris and Booker are now set on a collision course in South Carolina. “I met every member of the Senate. We all have brains above a single-cell organism.” – Sen. John Kennedy (R-La.) talking on the floor of the Senate. This weekend Mr. Sunday will sit down with Sen. Ron Johnson, R-Wis., Sen. John Hoeven, R-N.D., and Rep. Henry Cuellar, D-Texas.Watch “Fox News Sunday with Chris Wallace.” Check local listings for broadcast times in your area. “By 2019, we could all be underwater or living under Sharia law, depending on whether your doomsday is of the Democratic or Republican flavor. In the interim, I’m going to eat, drink and watch [Bryce] Harper.” – Charles Krauthammer (1950-2018) writing in the Washington Post on April 21, 2016.